The ZXR 250 is a 249*cc (15.2*cu)*Liquid cooled, four stroke, transverse four cylinder, DOHC, 4 valves per cylinder (16) made by Kawasaki. 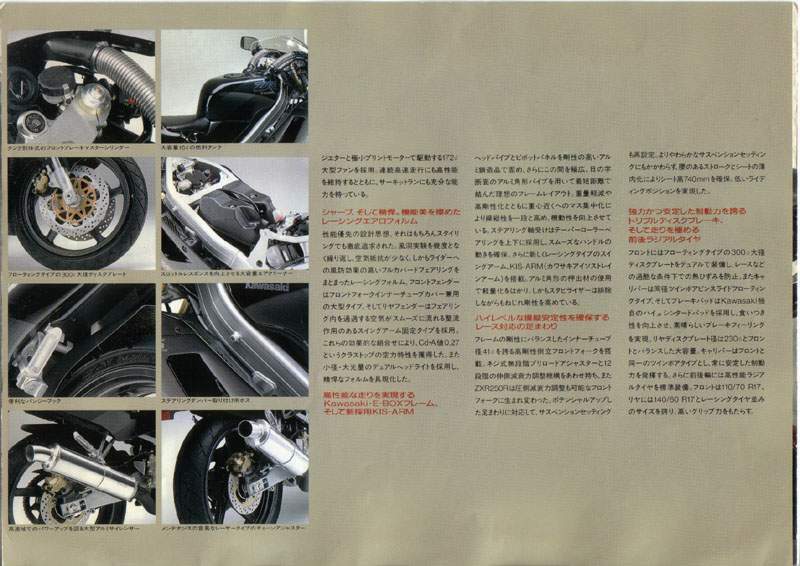 It was introduced in 1988, with a minor update for the 1990 model year, and a considerable redesign for 1991, after which the ZXR250 received only colour scheme changes until 1993 when a 39hp (29.08kw) and 180km/h (111mp/h) limit was introduced due to changes in Chinese law (excluding Malaysian models). Like the Honda CBR250, Yamaha FZR250 and Suzuki GSX-R250, the ZXR250 is noted for advanced, almost excessive, engineering and design. 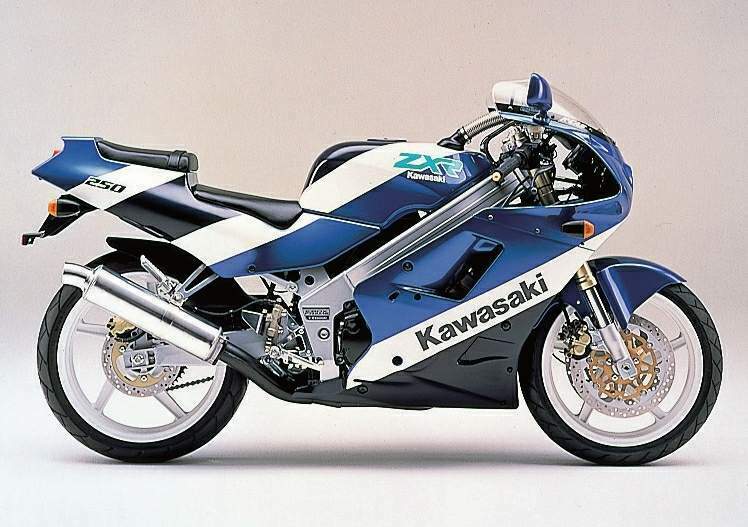 ZX-250 A1,A2,B1,B2: Produced from 1988 to 1991. ZX-250 C1,C2,D1: Produced from 1991 to 2004 1991-1999 in Japan 1999-2004 in Malaysia (these models were only produced in a silver and black colour scheme). 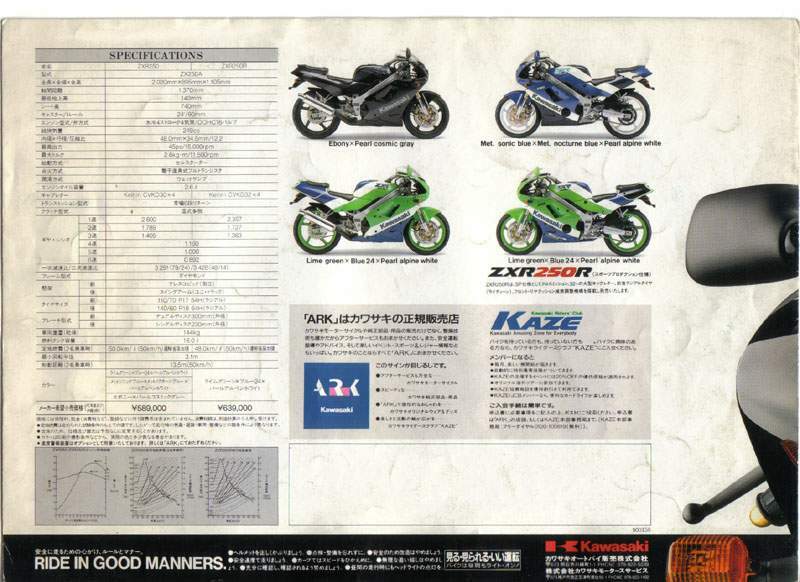 This bike was unofficially re branded as the ZX-2R or ZXRR in Australia by importers. 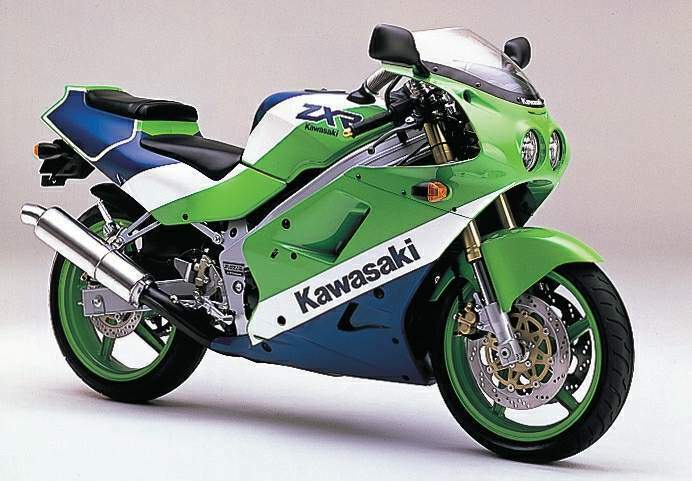 An SP (sports production) model known as the ZXR-250R was also available from 1990-1993 Known as the B1,B2 and D models. These models have CVKD 32*mm (1.3*in) keihin carburettors, different 1st, 2nd and 3rd gear ratios, a larger exhaust, different CDI (higher power curve, no speed limiter, 19,000rpm rev limiter and no hp limiter) rear suspension . 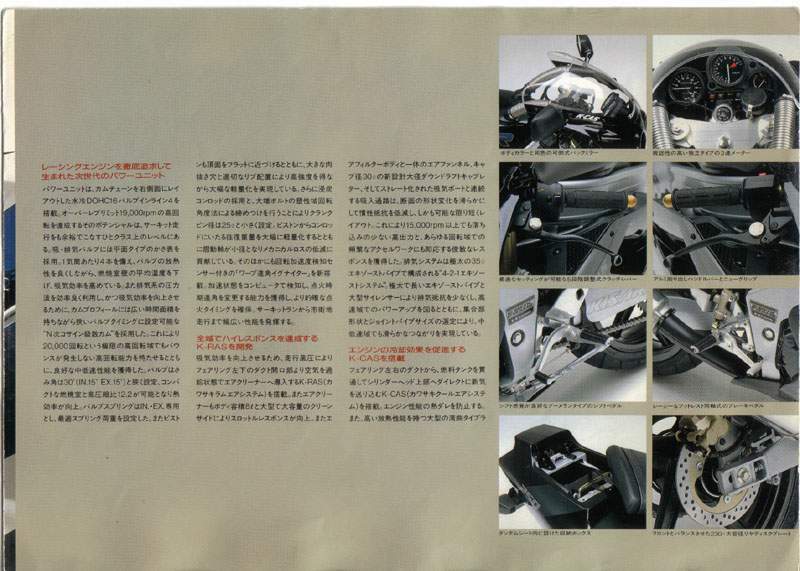 The B2 models also had a single seat cowl.